Does emailing from your phone seem like madness? Or is it second nature, something that you’ve been well aware of for some time? Emailing from your phone may not be something some of you are accustomed to. It is a quick and convenient way of keeping in touch with business clients when you’re away from the office. We’re constantly in touch with someone. If we haven’t got our laptops on our knee, we’re playing with our tablets on the train. When we’re not doing that, we’re on our smart phones talking to someone. It would seem that we’re constantly in touch and on the go. The reality is we are working more flexibly than ever before. If we’re away from the office then being able to use email from your phone is a real benefit. Work life balance can be blurred by accessing emails outside of the office, but greater response times to clients and supplies are a distinct advantage. Communications are improved and there’s access to information in a more timely fashion. Extra time can be created for employees and the self-employed. If staff need to leave work early, keeping in touch with important work events is made simple. Productivity levels can increase and efficiency can improve. It can be all win win with email access. Of course what facilities you have will largely depend on the mail server you use and what type of phone you have. from your phone may be exactly what you don’t need. If you go to bed cradling your phone waiting for the next call and checking every 20 minutes to see if you’ve had that all important email message, then perhaps it might be just as well that you don’t make use of email facilities on your phone. Yes it’s convenient, but if you don’t have a good work-life balance, and you find it hard to stop working, perhaps you should leave your emails at the office door. 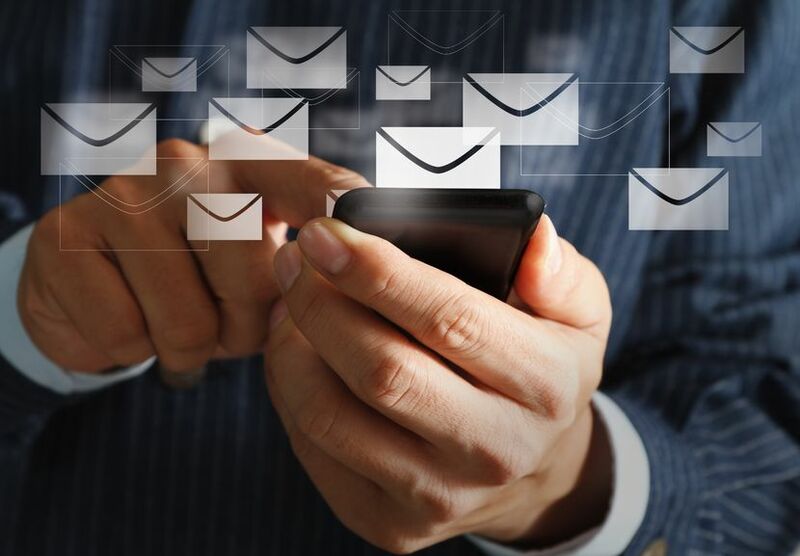 Should you use your email facility on your phone? Whether or not you decide to access your emails from your smartphone is a personal choice. It is up to you whether or not you decide to take advantage of this service. If you see it as an advantage that can increase productivity and give you increased flexibility, then using your email facility is a great idea. However, if you feel it’s going to change you into a raging workaholic then don’t. If you’re the type of person that needs to leave work behind at 5pm, then being able to access emails from your phone isn’t a good idea. But the question is, if you do have this facility available and waiting on your new smartphone, can you really leave it alone?